NYC ladies, oyeme…listen up! 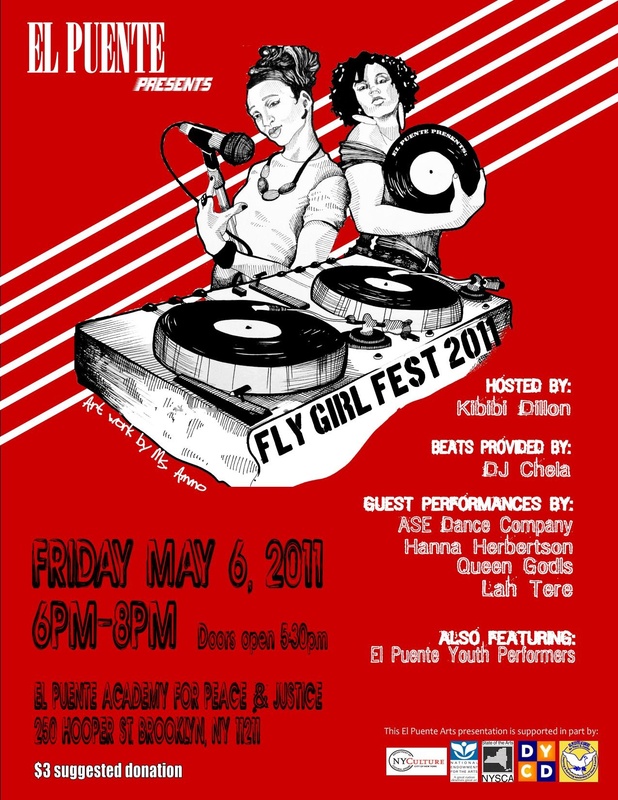 If you heart hip-hop, door-knocker earrings and pink AF1’s , and your soul thrives on social justice and artistic expression, tonight’s Fly Girl Fest 2011 is where you should be! Brought to you by leaders, JLove Calderon and Wanda Vazquez, Fly Girl Fest will feature musical and artistic presentations from young women, students at El Puente Academy for Peace and Justice. This is NOT your average community event or talent show. It’s much more! These ladies have been guided and mentored by professionals to not only display their talents in a polished presentation, but to rise up as up-and-coming youth leaders. As an added bonus, dope spinstress DJ Chela will be on the 1’s and 2’s between sets. Put ya’ hands together for these chicas. Thank you for stepping up as the leadership of tomorrow, and spreading the message of girl power and sisterhood! So head out to Brooklyn tonight (6-8 pm @ El Puente, suggested donation = $3) for this moving event! Read more about last year’s Fly Girl Fest here.